Stampin Up: May Flowers Workshop for Mother’s Day | Stamp Right Up! ← I love Lawn Fawn!!! I am pleased to say that this weekend marks another successful workshop! I had the pleasure of running a private workshop with Leyla – it was a great experience for us both. As she is new to paper crafting, card making and Stampin Up in general, I really loved having the opportunity to work one on one with her to show her all the tips & tricks that I have learned along the way. When I was planning the workshop, I tried to put a lot of thought in to which techniques would be good to work with for beginners while still making fun & appealing projects. 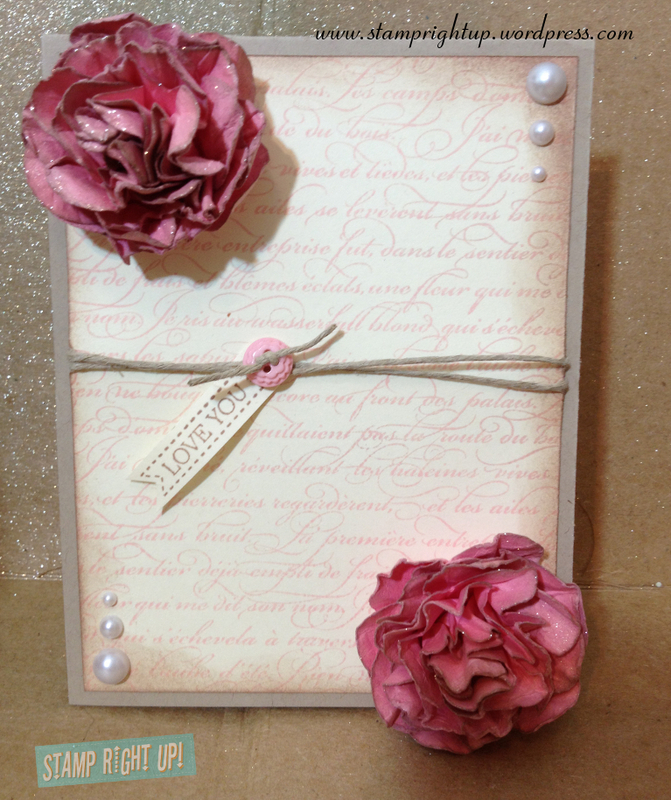 The theme of the workshop was “May Flowers” so I wanted to make a card similar to one that my upline had made with the Fancy Flower punch. I found this video tutorial from Dawn on how to make a different style of a paper flower and LOVED the look of this technique. I added an extra step to Dawn’s tutorial and sponged the edges of each flower layer with crumb cake ink; it is a bit time consuming to ink / sponge the edges, but it REALLY makes a difference and give the flower so much more dimension. You could also use the coordinating ink to match your card stock, or use a contrasting ink to give it an extra punch of color. As always, your comments & feedback are welcome and appreciated!